Greetings and salutations LumberJocks! I recently took apart a set of old dining chairs for the wood, and upon planing them down, have no idea what it is. It’s about the hardness of oak, and I am incredibly bad at identifying anything other than Western Red Cedar. It was stained very dark, and has an open pore structure. Any idea what it is? 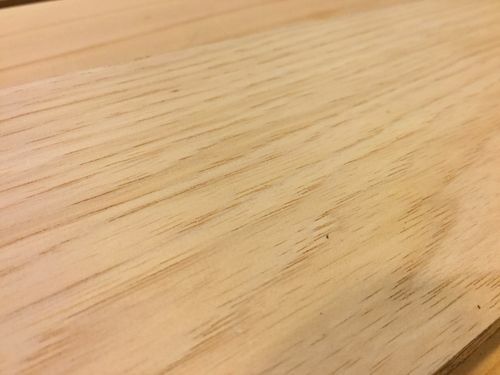 It resembles Quarter Sawn White Oak, a classic furniture material. Possibly QS Ash. However, I have learned the hard way that identifying wood from photos is often misleading. Here’s a photo of one with more visable grain. The end grain is very open too. If not really hard, then Ash (which doesn’t have any yellow/cream amorphous color bands). But for some reason it’s looking like Rubber Wood to me – this isn’t an “heirloom set” that was made-in-China by any chance? That second picture is much better. I agree with Underdog – Pecan/Hickory. I’ll be the third vote for Hickory. Especially after seeing the end grain. I’ve been wanting to make a mallet and chisel handles amongst other custom tools for the shop, this will be amazing to work with. Do we have more votes? If there aren’t any color bands, then I’m gonna say Ash. If you can dent it with a fingernail, I’m gonna guess it’s not hickory/pecan. 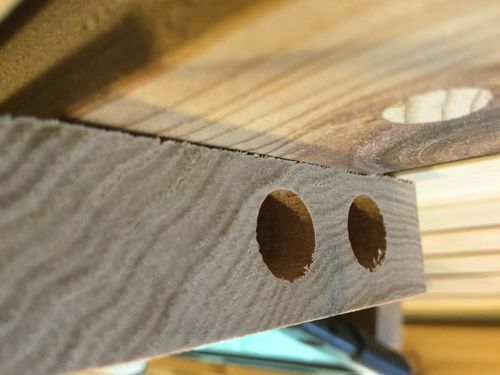 Most of the time folks don’t make furniture out of hickory/pecan because it’s so darn hard, and more importantly, it moves like crazy. Ash is the more friendly wood for making furniture. It’s lighter weight, softer and easier to work, and it’s a very strong, stable, good looking wood. What no votes for Alder? 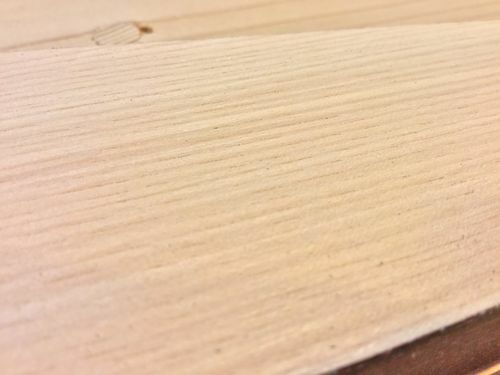 I do have very hard fingernails :) is there any possibility for the white oak suggestion, or are we still in the ash/hickory area? I suppose it could be oak, but the ray flecks in that second picture makes me think Ash.